Steam trains half-buried in the desert, roller coasters entangled in trees, hulks of ships perched high and dry miles from water - images like these are bound to make us wonder: what happened here? From forgotten railway stations to flooded shopping malls, from secret Cold War bunkers to radiation zones, Abandoned Places explores more than 100 fascinating lost worlds from all around the globe. 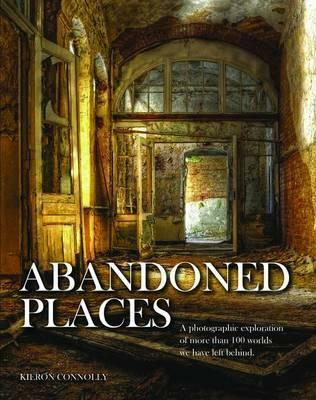 Surveying the ruins of industrial sites and military bases, ghost towns, holiday resorts and airports, the book explains the story of how each place came to be abandoned - whether through natural or chemical disaster, war, economic collapse, or changing tastes and customs. Throughout, though, a picture emerges, not only of what has been lost, but of what remains. Left to the elements but ignored by humanity, these ramshackle settlements and dilapidated structures illuminate times and designs that we thought were long gone. A graduate from Edinburgh University and the National Film & Television School, Kieron Connolly has written for the Mail on Sunday and the Daily Mail, and has interviewed film-makers for movieScope Magazine.